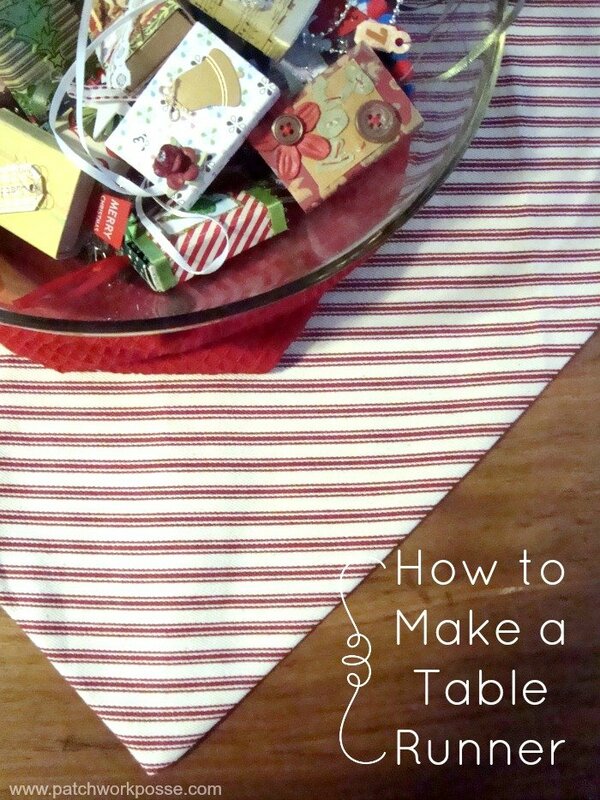 Today, let’s hit how to make a table runner …… with pointed ends and in 30 minutes or less. There are sometimes more important things to do. Like decorate for the holidays. Like put the food together for the company. Like pick up the house so it doesn’t look like a dust bomb went off. 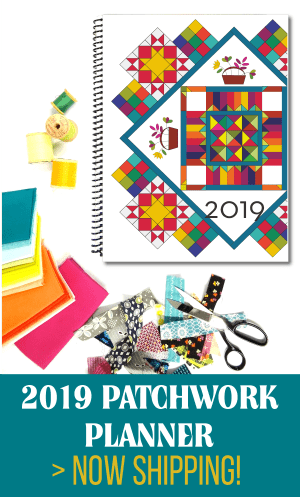 The last thing you have time for is making a table runner. But, there are times when I just can’t get past sewing something. Or having just the right look or accessory. 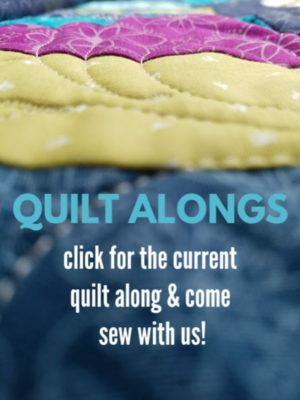 So, off I run to the sewing cottage to whip up something quick and simple. This is one of those kind of sewing projects. 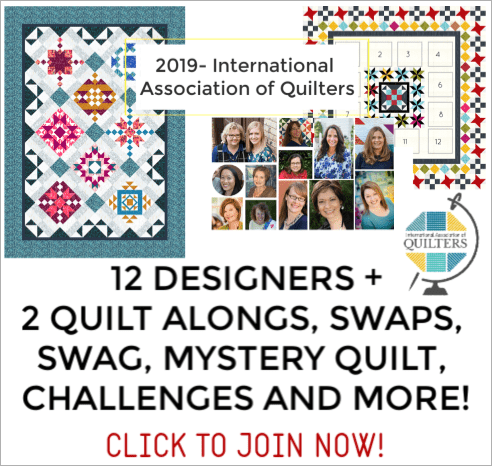 Once you know how to make a table runner ….with pointed ends and in 30 minutes (maybe longer if you can’t decide on the fabric) you will be making them for each holiday, season and person who visits over the next month because you became addicted to making them and you now have more than you want to admit. the length and width will depend on what you like and what size your table is. I went a bit wider and used the full width of the fabric. 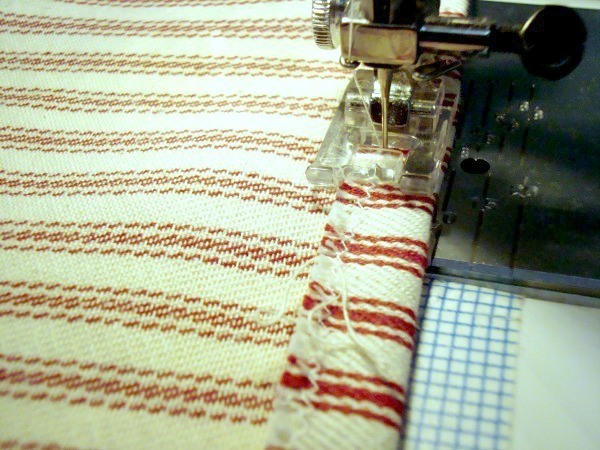 Fabric– cotton will make the runner a bit floppy. You will want to pick something a little heavier in weight. I went with a ticking fabric. A thinner upholstery fabric would work great too. There is NO protection on the wrong side of the fabric, so if the fabric is fancy and has lots of strings you might want to choose something else that won’t snag and pull apart. 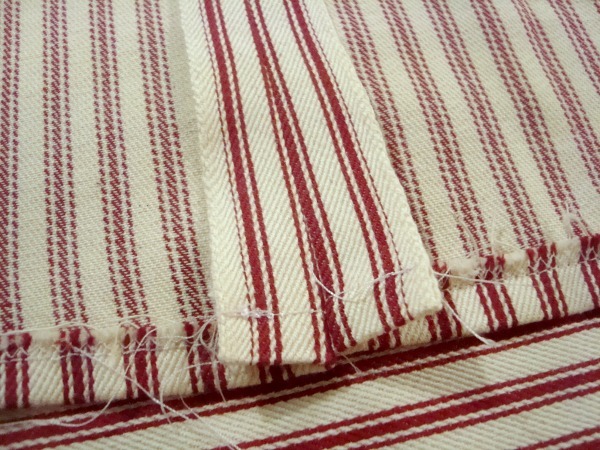 1) Hem the LONG sides of the table runner 1/2″ hem. 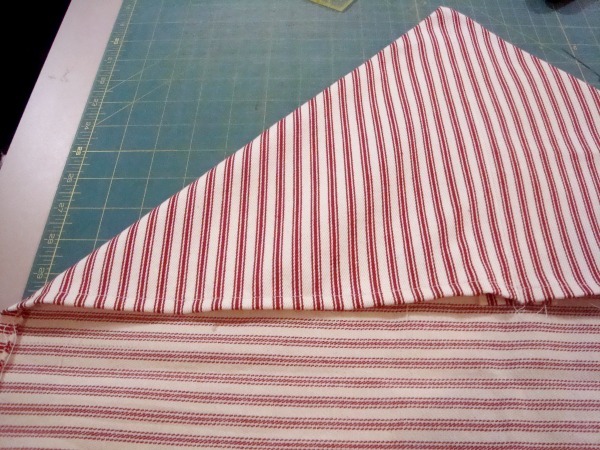 If they are cut edges, you will want to zig zag them first or use a serger on them so they keep from raveling and making a mess. 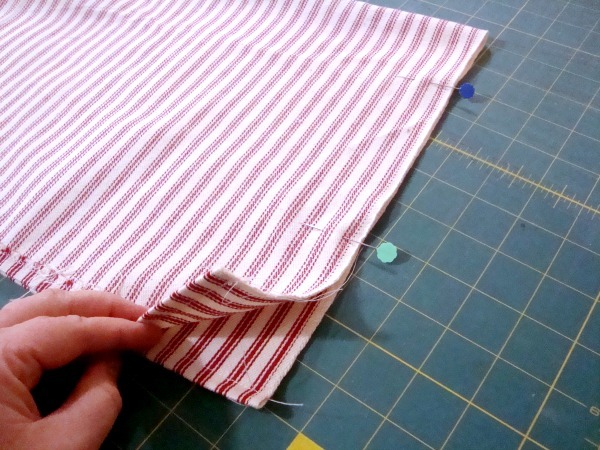 4) Turn the end right sides out– this will make the point on the runner- Iron and starch to keep its shape. 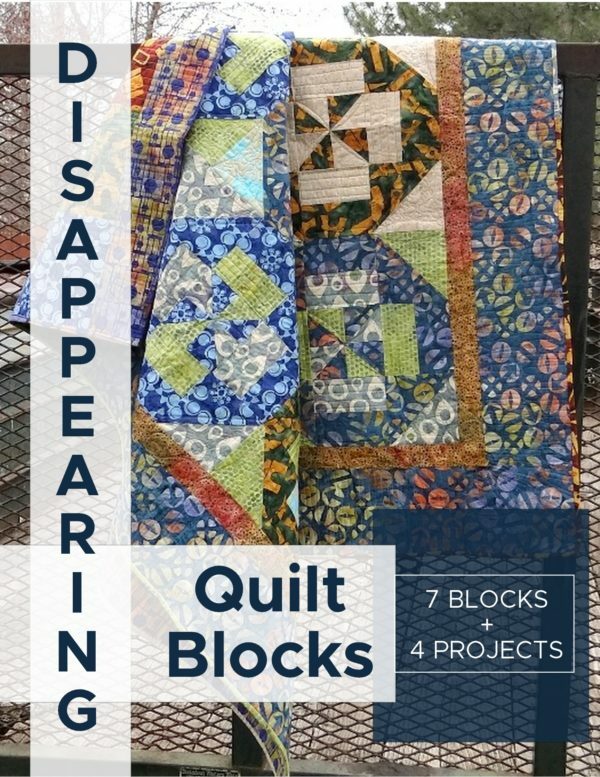 This is such a simple project. It’s great for making long skinny runners in a pinch or fat wide ones. You can add any kind of embellishment to it and if you choose, you could even unpick it and use the fabric for another project another time! 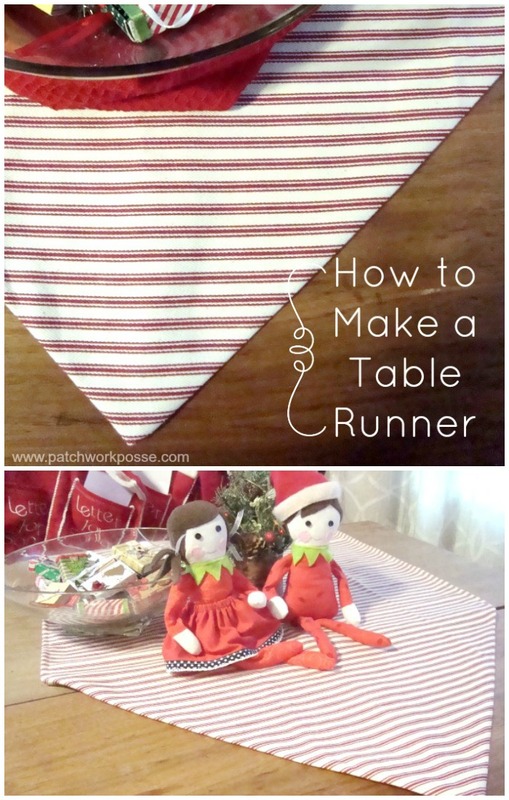 Ready to give other table runners a try? Here are a few including– an Easter Table Runner, Sochi Olympic inspired, chunky wheel and a few others. Anne– this is one little corner and believe me you can’t see the construction in the other room and the extra furniture piled in the opposite corner! lol we had to stuff the tree in. So goes the world of living with a general contractor. hahah. Thanks for sharing! 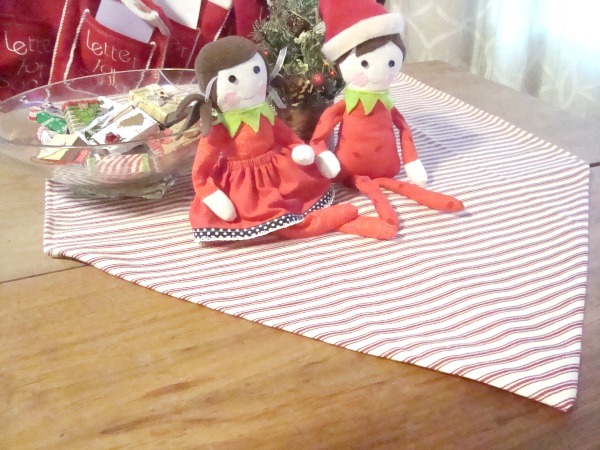 I love the elf and his mate, who are sitting on this table runner. Is there a pattern for that?